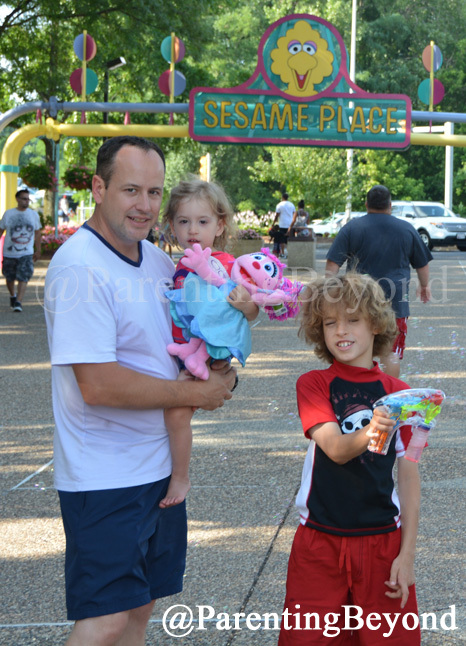 Even from 9.5 hours away in NKY, my family has visited Sesame Place twice in the past year. Our first experience was “A Very Furry Christmas” in January (post coming soon) and more recently just a few weeks ago in July. Going 2 different times a year almost felt like going to 2 different parks. 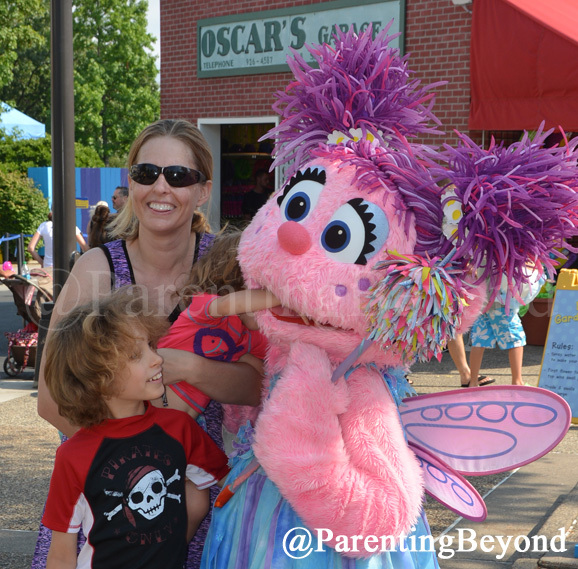 Walking into Sesame Place is a Sesame Street fan’s dream come true. 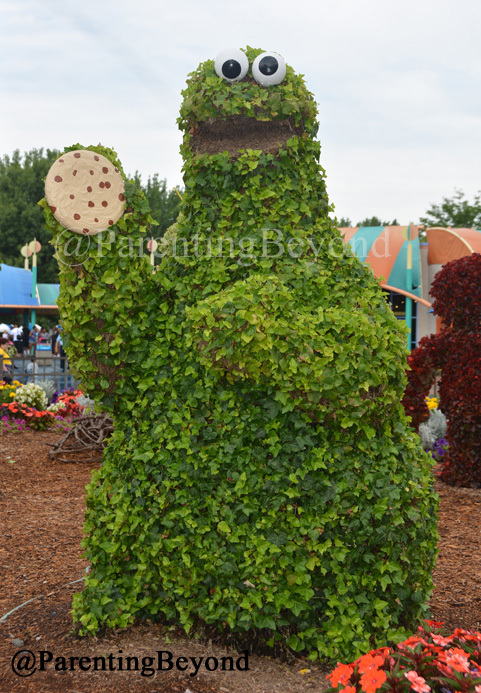 The colorful cheery monsters are there to greet you in signs, topiaries, and merchandise. Once in, my 9 year old hit the Vapor Trail right away! 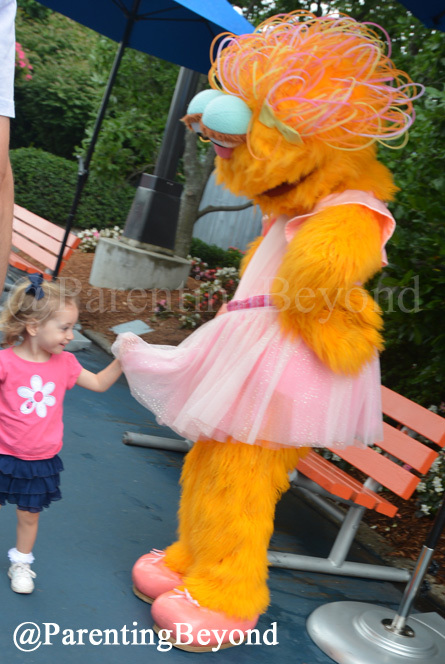 Only a few steps through the front gate and you are bound to run into any one of the beloved Sesame characters. 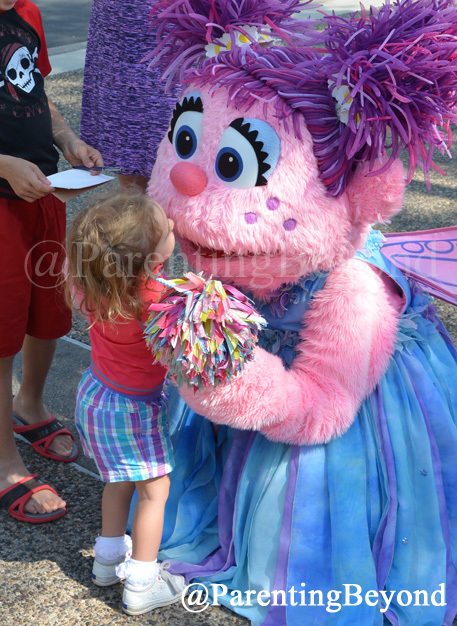 My 2-year-old had been asking for days to “hug Abbey”. So, while the boys road the roller coaster, we set out to find Abbey. We were first distracted by the Count VonCount. He had a long line so we stood to the side just to grab a quick pic. I love that he spied us from a distance and struck a pose for us! The Count striking a pose. Next stop: Smile With Me. 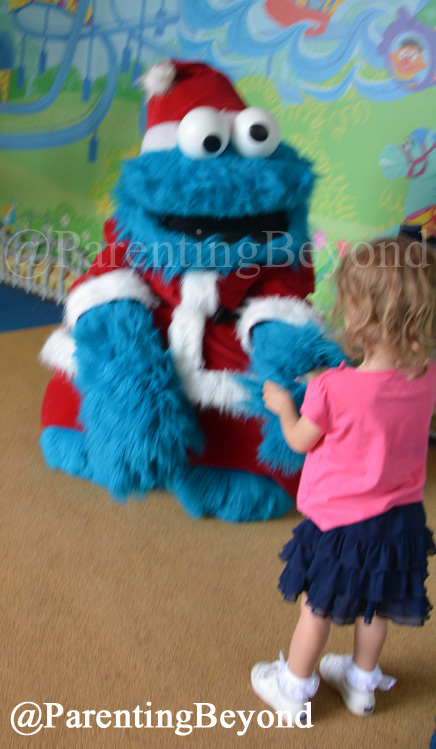 No Abbey there either, but we did find Super Grover, Santa Cookie Monster, and Elmo. Back out on our search, we passed Oscar and Big Bird. 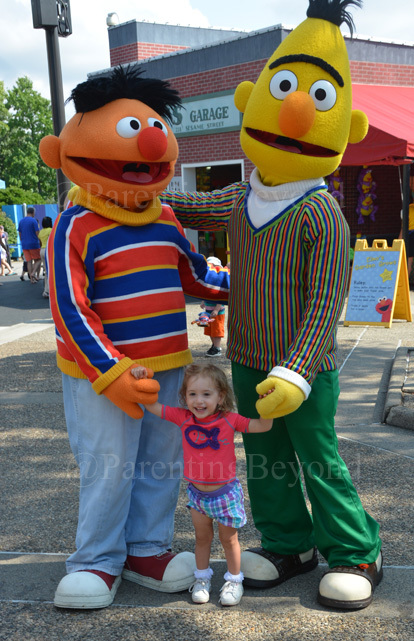 When we ran into Bert and Ernie, we found out that Abbey would be in that spot later in the day, but no one knew what time. By this time it was time for lunch and a nap so we made the super convenient trip back to the Sheraton grabbing an autograph and picture with ballerina Zoe on our way. 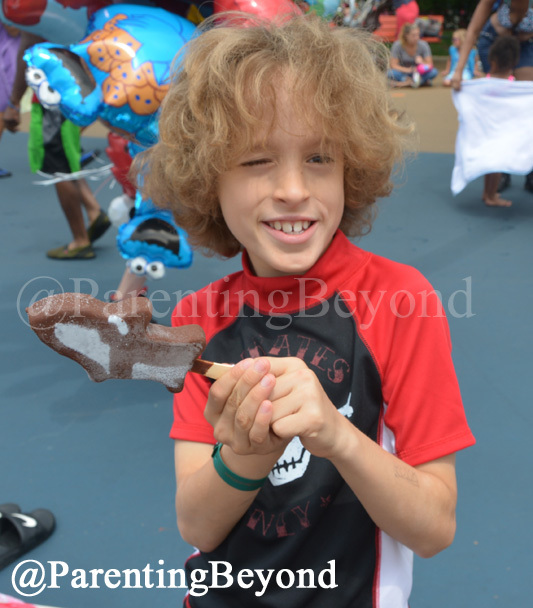 Back in the park just in time for the parade, we staked out our spots and grabbed some treats. Know who the ice cream bar is?? 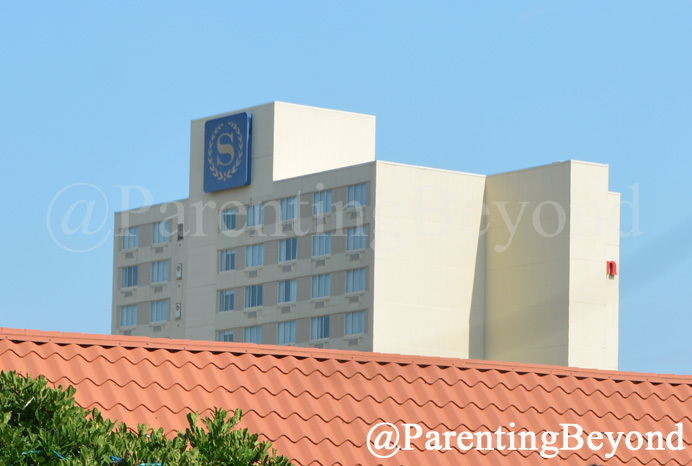 While waiting for the parade to begin, I looked up and guess what I saw- our hotel; The Shearaton Bucks County, right over top of Sesame Street! 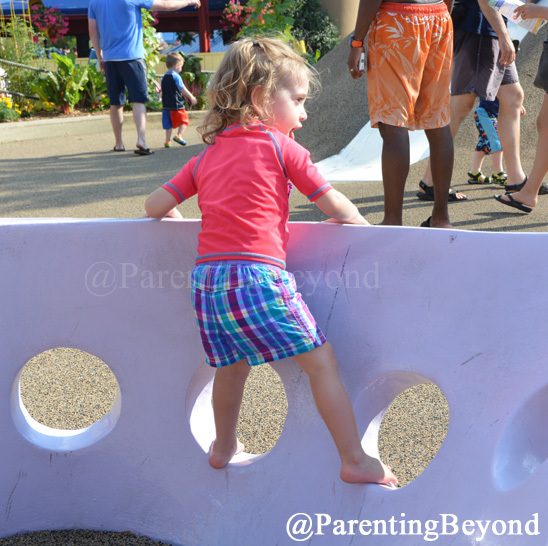 Playing in Ernie’s Waterworks, you are made to feel Tweedlebug size! Leaving with our souvenirs of choice, everyone agreed how much fun it was to have been on Sesame Street that day. * If possible, allow yourself more than 1 day in the park. Between shows, ride, characters, etc, 1 day isn’t enough if you are hoping to do it all. 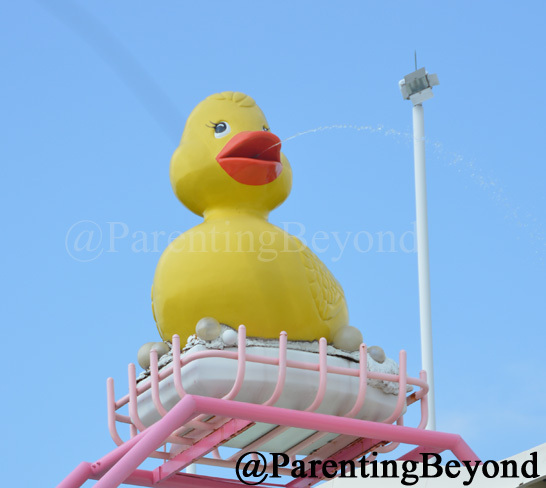 * During the warmer months, do the water attractions first as this is the opposite of what most seem to do. * Do a character Dine With Me meal. 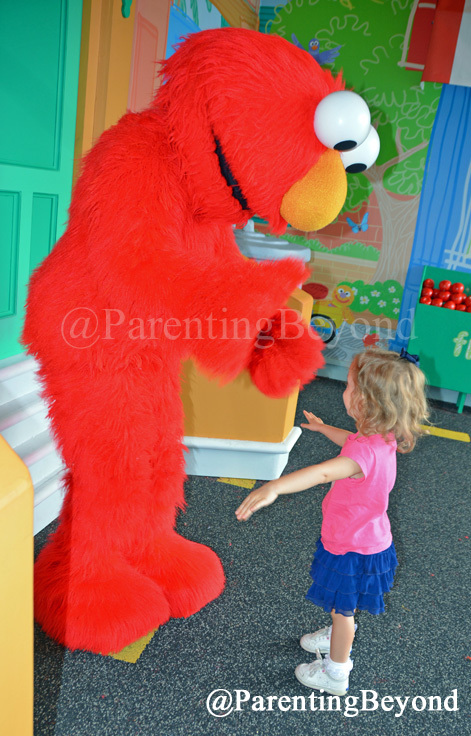 Meeting most of the characters there will not only be a unique experience, but relieve you of spending your day with a fidgety toddler waiting in line to see them. * During the “Neighborhood Street Party” day parade (I don’t know if the night is the same), sit near the end of the parade route near Oscar’s Garage for the streamer shoot offs. 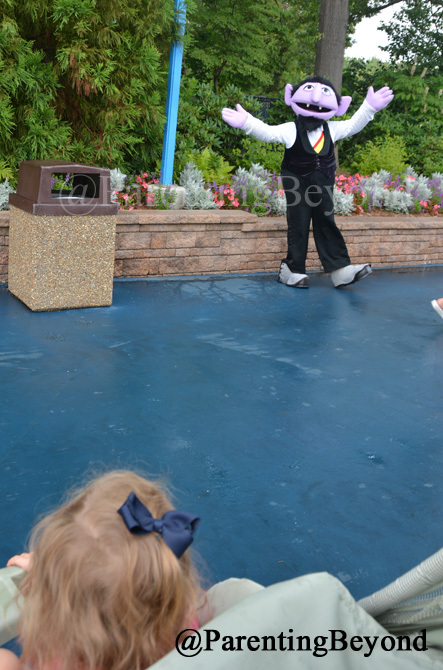 * Pictures: In January, we had no issues with taking pictures or staff taking pictures with our camera for us. In July, this was the case everywhere except Smile With Me. 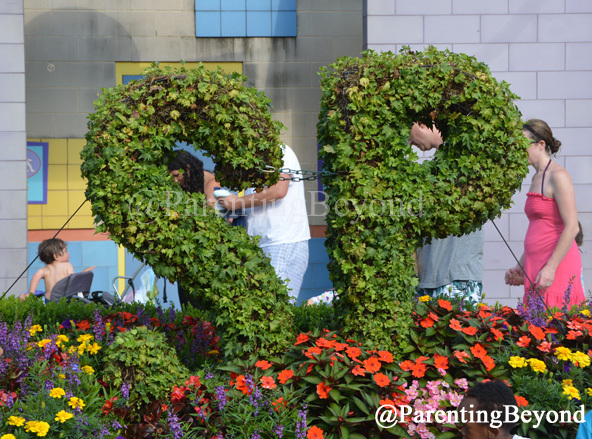 There were signs stating staff would not use guests’ cameras and the photographers were not letting anyone take pictures with their own cameras. They were vigilant about it. * Be sure to keep track of your 1.2.3…Smile With Me card and view your photos before leaving the park if you are planning to check them out. At this time, you are unable to view them online. * Take an autograph book and pen. 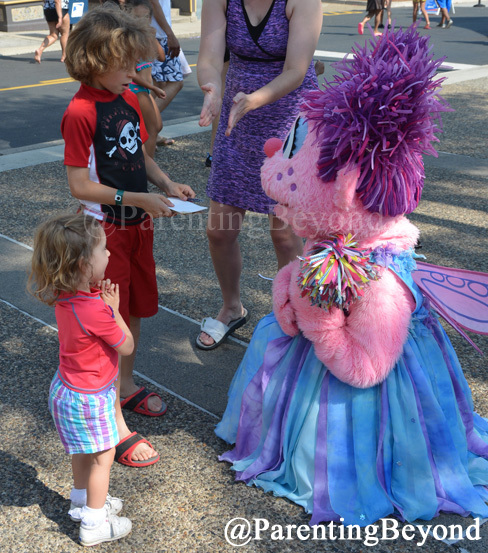 The characters do sign autographs. 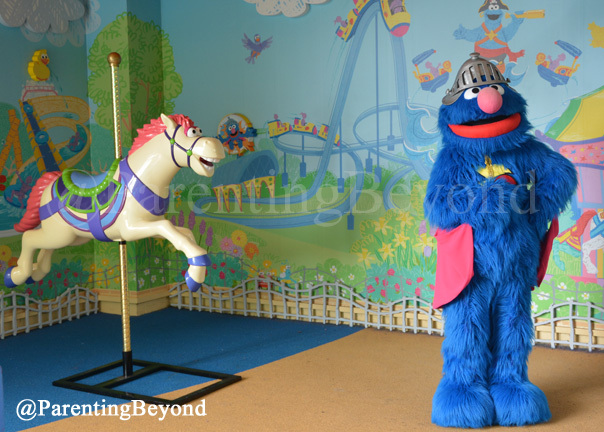 * Character Greetings: When we went (this could be different on any day) characters would be out for 20 minute intervals in the following places. 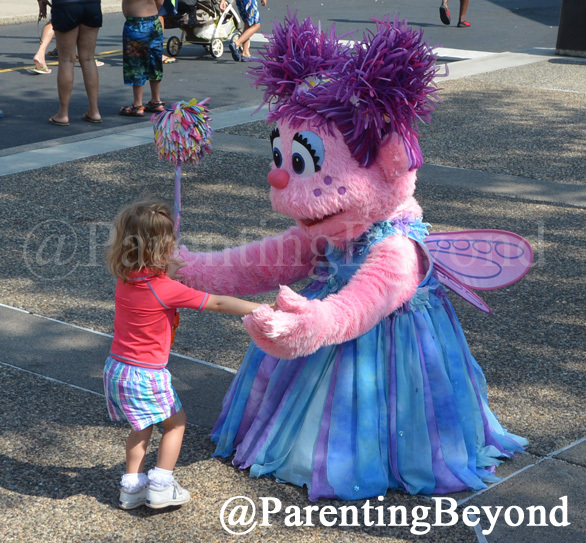 Characters were not out during parade times. Count VonCount: Just past Dine With Me on the right. Zoe: Across the street from the Count (see above) on the left. 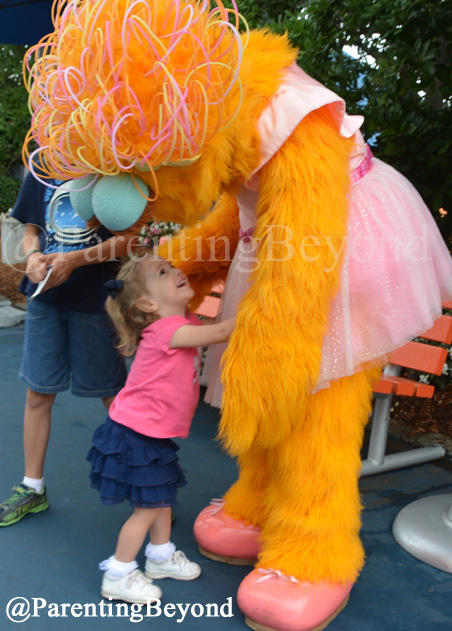 Here’s wishing all your days are sunny and you soon find your way to Sesame Place! I had no idea such a place even existed! Why don’t they advertise more? Thank you for informing us about it, we’ll have to go! 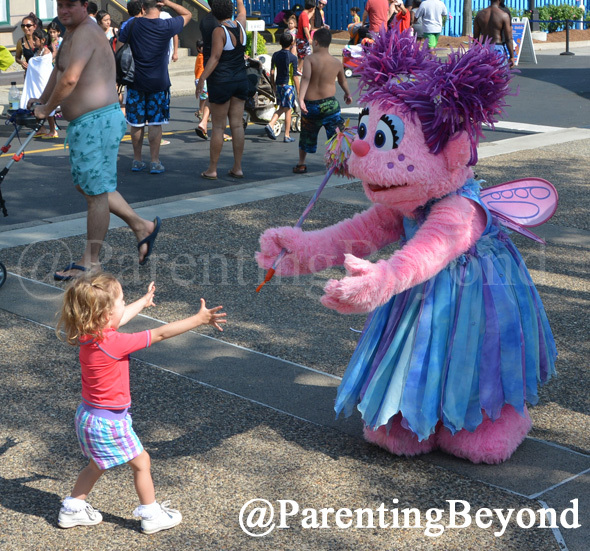 we actually prefer Idlewild and Soak Zone over Sesame Place you should check it out. That looks like so much fun. I would love to take my daughter. Oh my gosh that is so awesome! I wish I had seen this when my kids were younger, but I know a little boy down the road who would LOVE it! Will have to share with his mommy! When I was a kid I always wanted to live at Sesame street,it was the best. 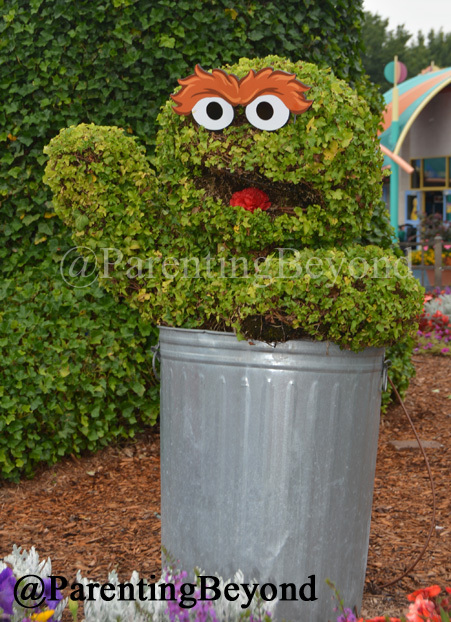 My daughter would absolutely go crazy for this place, she loves Sesame Street. 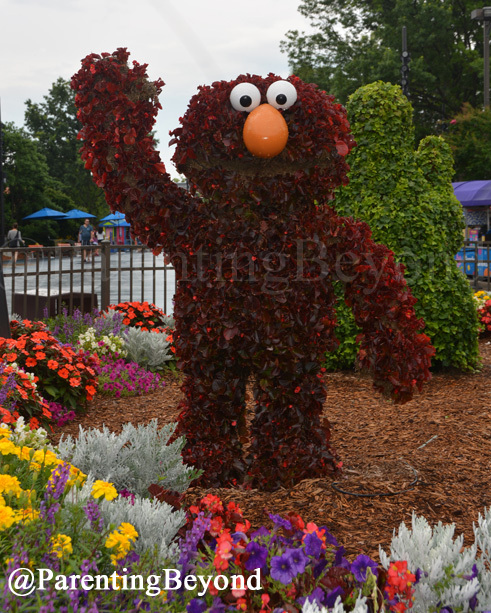 We went there many years ago.. it was fun.. it looks much nicer now..
Sesame Place looks like a blast. I loved Sesame Street when I was a kid. omg this looks like a lot of fun, i dont know who would have more fun here the kids or myself. 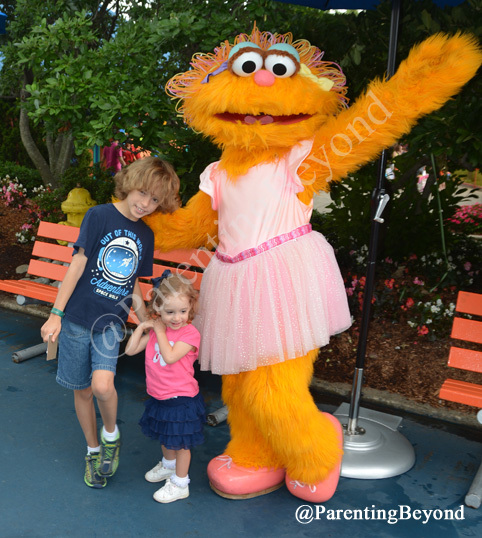 I have to say, seeing the sesame characters makes me feel like Im going back to the past, haha! Wow, I didn’t know this place existed. I wish we can visit this in our future trips. 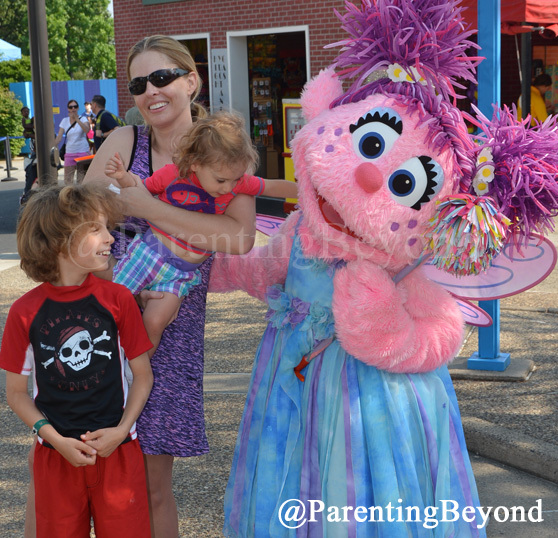 We LOVE Sesame Place! I need to make another trip there, as its been about 4 years since our last visit. But these are great tips, thank you! I’ll have to save this to help me plan when we do make it there again. Love your pictures. What a great review. Children remember these very special outings for a lifetime. 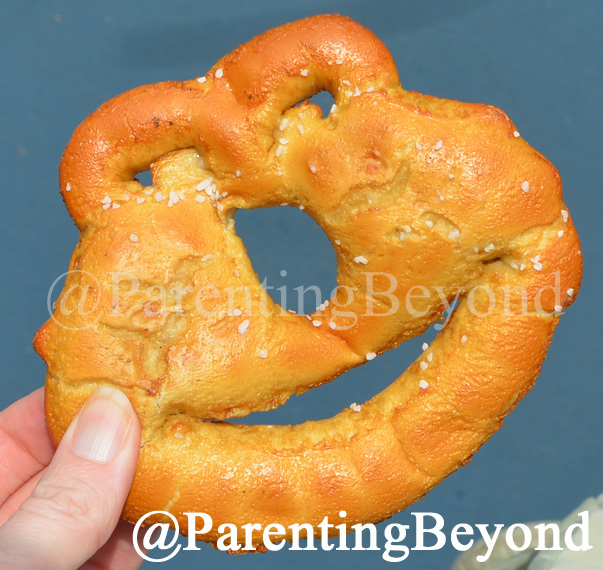 I love all the parks owned by SeaWorld/Busch Gardens. 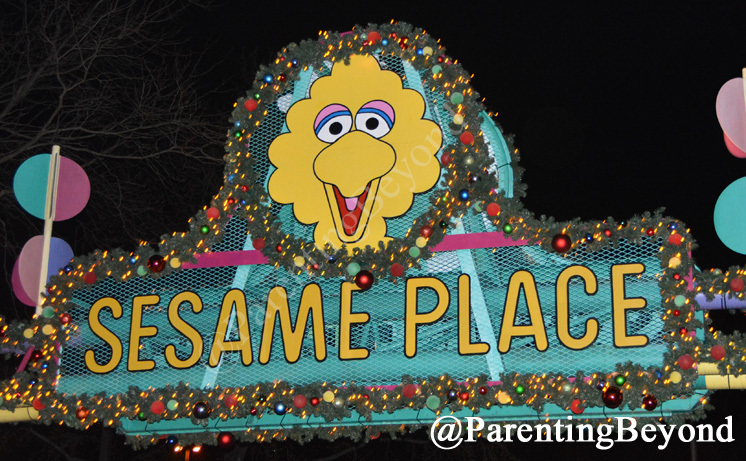 Sesame Place looks amazing for those little members of our families. Enjoy those memories! How could I not know this place existed? 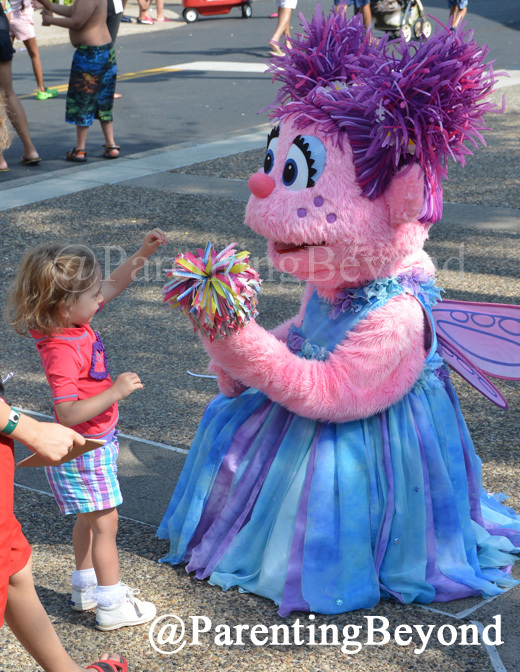 My daughter would be so excited to meet & hug all of the characters. Thanks for all the great info! Love this post- looks like a great day out. 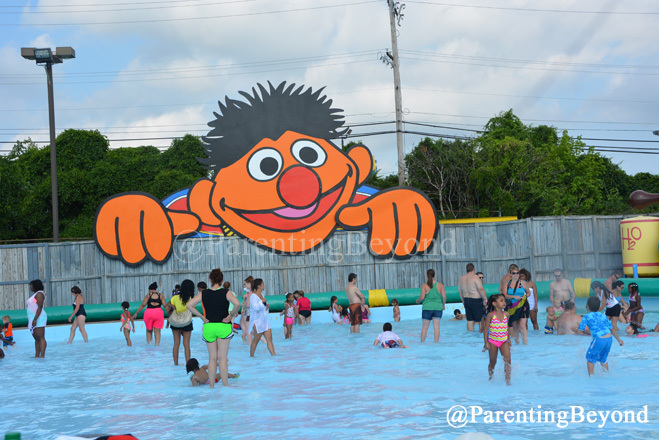 I’ve never actually heard of this park, but it doesn’t surprise me there is a theme park based on Sesame Street. My son is three, so maybe when I have some extra money I will take him. OMG The character bushes are too cute! My daughter would love to go here. She is a huge SS fan! 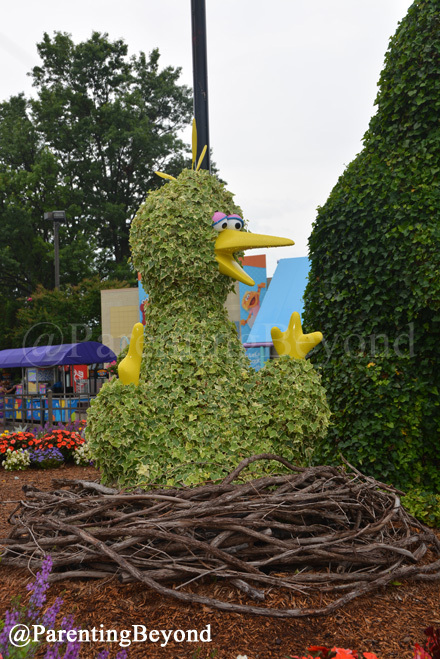 Sesame Place looks awesome! I loved Sesame Street when I was a kid.